We learn as children that the Romans fed the Christians to the lions. This seemed normal to us, after all the Christians were good and the Romans bad. We thought they must have not wanted to be good. The truth is more complicated. 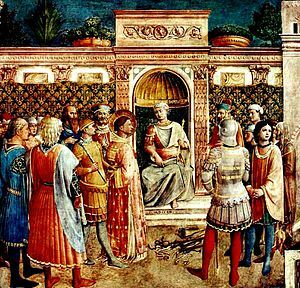 Why would the Romans try to stamp out the Christians? After all, they absorbed many religions, and were quite tolerant of almost every sect. But the Christians, along with the Druids, were different, for both they engaged in a centuries long struggle of extermination. Was it just the belief in one God? No, for they tried hard to allow the Jews their religious place and the Druids were not monotheists. So what did cause the Romans to react so violently against what we, in the modern age, would see as a small group of pacifists, who would gladly render unto Caesar what is Caesar’s. How could they have posed a threat to the might of Imperial Rome? “Everywhere, the evangelical organization prayed to serve and give instead of praying to be served and to take. Christians were known by their capacity for personal sacrifice for the sake of all, for their goodwill, sincere humility, cooperation and fraternal care, and for their diligence in perfecting themselves. The fear of a slave rebellion was a constant factor in Rome, after the year’s long marches up and down the Italian peninsula by Spartacus, the threat of having your throat slit by those who live in your house involuntarily became all too real. Whereas, other deities, religions and cults reinforced the fragility of your life here on earth, meaning that you should respect the power that could exterminate you for any offense; Christianity removed that barrier, leaving the believer with the certainty, that his or her own soul could never be touched by any display of human power. This was completely unacceptable to the Romans. To add insult to injury, the Christians did not share the Roman’s pride of power and conquest. In the book, a Roman Patrician exclaims, “I cannot accept a faith that annuals pride and valor!” From the Roman point of view, Christianity was no mere cult attracting the dregs of society. 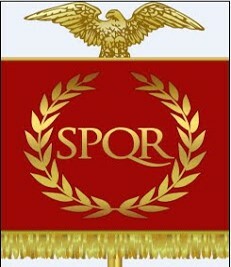 Too many Roman elites, along with slaves and freedmen, became members of a religion that not only rejected the basic tenants of Roman society, love of power, importance of ancestors in social standing, glory of combat, but additionally considerably raised the possibility of a massive slave revolt. The force of the ideals of Christianity was a real threat to the Empire. This is why for three hundred years, the entire might of the Roman government sporadically made repeated attempts to crush the early Christians. Only in 313 AD, with the Edict of Milan issued by Emperors Constantine the Great and Licinius, was Christianity legalized. 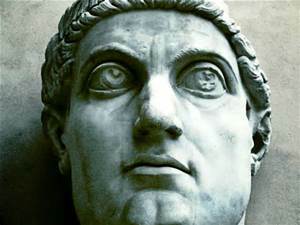 Constantine the Great wasn’t satisfied to just allow the doctrine of Christianity to flow freely, he called the First Council of Nicaea in 325, at which the Nicene Creed was professed by Christians. The papacy, the Bishop of Rome, claimed temporal power using Constantine’s ascension to Emperor. Therefore, the Church began its phase of slowly corrupting the doctrine of serving and started to take on the mantle of expecting to be served by the people, with a cohort of officials with ready hands to deal with the cash. Hence, over time, the Church became an extension of the Empire and not a potential adversary. If you wish to learn about Spiritism, and how we are all immortal souls who reincarnate through many lives, read Spiritism 101 – The Third Revelation. Xavier, F. C. (2012). Hail Christ! Brasilia (DF), Brazil: International Spiritist Council. Christians do not believe in reincarnation, and never have. What we believe in is the resurrection of the dead. The whole persecution myth is largely Christian propaganda. 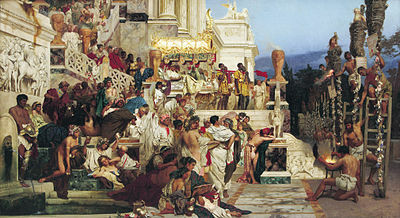 Rome persecuted those who were disruptive of their version of law and order. And no their version was not some Nazi version as shown in the MGM bible movies. The Romans were surprisingly even handed in their treatment of subject people. The persecution of Christians by Nero is classic misinformation. He supposedly blamed them unjustly for the 64 AD Fire of Rome. But we are not told by apologists what was happening OUTSIDE of Rome during that time. Judea and the area around it were hotbeds of revolt and religiously driven murder and arson by Jewish fanatics. Many of the leaders were declared ‘Christos’ by their followers which simply means Messiah which means a prophetic war leader that would lead the Jews to victory against non-Jews. Claudius who preceded Nero had to expel Jews from Rome because of rioting caused by friction between them and other groups. So if Nero blamed followers of the Christos for the fire it wasn’t necessarily the Christos who preached loving your enemies and turning the other cheek. It’s interesting that though the fire occurred in 64 AD the persecution supposedly started in 67 AD, the very year the First Jewish Revolt started in Judea with massive death of non-Jews and burning of homes and temples of pagans and even Jews who favored peace. Think of an ancient version of ISIS terrorists.